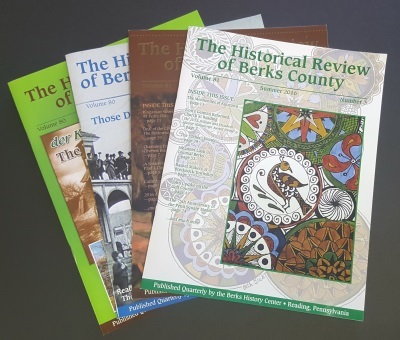 (Editor’s Note: The following is the result of author John M. Lawlor’s inquiry into the fate of Frederick Albright, the Civil War draftee whose picture was printed in the Winter Review, 1984, Mr, Lawlor, a resident of’947 N. 12th St., Reading, graduated from Kutztown State College with a Master of Arts degree). A photograph of Frederick K. Albright was repro­duced in the Winter, 1984, issue of the Historical Review magazine. Limited data was available at that time, but there was sufficient information to ask the National Archives and Records Service to search its holdings for service and pension records. Here are the results of that search. Drafted at 26 years of age, Frederick K. Albright appeared on seven muster rolls. These musters cover all nine months of his service in Company E of the 167th Pennsylvania Drafted Militia. It’s good to report that he survived his tour of duty, apparently without injury. He was mustered out of the army as a private on August 12, 1863, and he served no other tour of duty. This is the extent of his service record. The pension records shed considerable light on Mr. Albright’s life after his military service was completed. Pensions and benefits were applied for by veterans and their widows on notarized forms. These forms contain a wealth of information. Life was not easy for Frederick after the service. Tragically, his wife, Ellen (nee: Harbach), died on April 8, 1869- She was buried in Bern Church Cemetery in Berks County. His marriage to Ellen produced at least four children. The children’s names were listed (with their spouses’ names) on a form Frederick submitted in 1898 to the Dept. of Interior for benefits. This department administered the pension fund. Fred­erick’s memory for birth dates may have dimmed a little by the passage of time. One daughter, Beckie, was listed as being born on December 19, 1870. Albright had not yet remarried at that date. This is a reminder to the researcher that no single record can be blindly accepted as totally accurate. On April 27, 1871, the Rev. Benjamin Bausman officiated at the wedding of Frederick and Mary E. Price at the First Reformed Church in Reading. This was Mary’s first and only marriage, and this mar­riage was also blessed with four children including a set of twins. Here, too, is a discrepancy in the records. The marriage endured until Frederick’s death. There is little information in the files on Fred­erick’s postwar employment. According to a County tax assessment made in 1905, he was a laborer. An affidavit, however, lists his occupation as a shoe­maker. By 1902 Frederick’s health was deteriorating. He appealed to the federal government for total disabil­ity pension in that year. His request was granted and his pension rose from $8 a month to $12. Frederick Albright received his last pension check in December of 1905. He died on February 17, 1906, and was buried in Charles Evans Cemetery by Frederick F. Seidel, a Reading undertaker. No cause of death was provided in the records. With proof of death supplied by Seidel, Mary applied for and received the $ 12 a month pension she was entitled to as a widow from a Civil War veteran. Her affidavits with those friends and relatives reveal Frederick died without any real or personal property. His life was apparently a hard one, but one which was blessed with children who cared for their invalid parents, a marriage which endured for 34 years, and many close and intimate friends. Mary E. Albright outlived her husband by ten years. She died on October 30, 1916, of congestive heart failure. The family applied for medical and burial assistance to help defray expenses. This was the last contact made between the Albright’s and the federal government as a result of Frederick having served the North during the Civil War. Request an “Order for Copies of Veterans Rec­ords” form — NATF form 26 (rev. 5-82). The forms will arrive in two weeks or less. Only one form is required to get both the service and pension records. The same form can be used for all service records prior to World War I. Other forms are necessary for service in World War I or later, and the National Archives does not maintain these records. The in­structions on the form are easy to follow. Do as much research as possible from local sources before sending the completed form back to the National Archives. The more information supplied on the form, the more likely the search by the archivist will be successful. At the very least, you must supply the soldier’s full name, branch of the service, such as the army, rhe war in which he or she served, and the state in which the soldier resided when mustered into the service. For the Civil War, you must know if the soldier fought in the Union or Confederate Army. Other helpful information includes such items as the arm of the service, such as infantry or cavalry, unit in which the soldier served, place and date of birth or death, and the name of the spouse. These items are not required, but they help to guarantee that the records you receive are the ones you re­quested. Armed with as much of the above information as possible, fill out the form from the National Ar­chives. It is recommended that you request both the service and pension records for the veteran you are researching. There may be very little service in­formation, but there is often a great deal of data in the pension files. The cost for each set of records is $5.00 and must be paid when the form is submitted. Once the forms have been completed and mailed, allow six to eight weeks for the material to arrive. You should be well rewarded for your patience. The research is clearly very easy to undertake.